I still remember when gay meant happy. 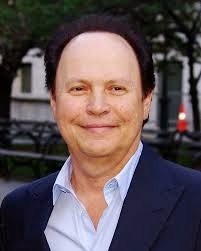 Billy Crystal, who played one of the first openly gay characters on TV in the Seventies, told the Television Critics Association that gay scenes aren’t “to his taste”. The actor played Jodie Dallas on Soap, one of the first unambiguously gay characters on US television, from 1977-1981.